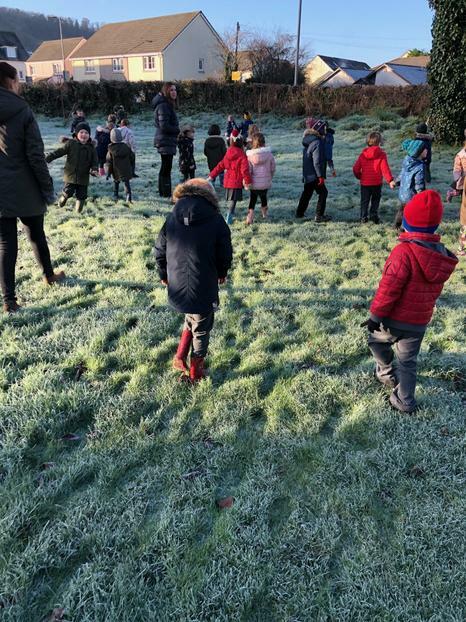 This morning the children from the EYFS went on a very chilly and frosty welly walk! 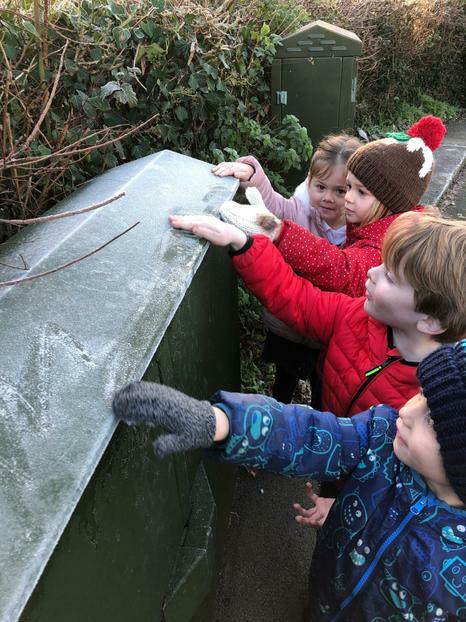 We were looking for signs of the cold weather that we have been learning about and we had great fun. 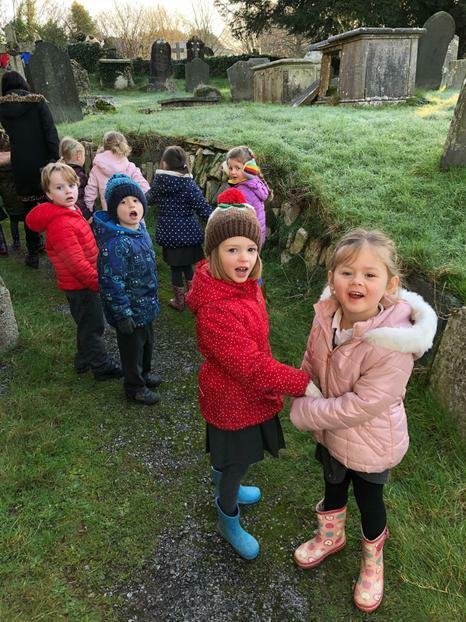 We practised breathing out like dragons so that we could see our breath; we touched the frost that was still visible around the area; and we walked on crunchy grass. 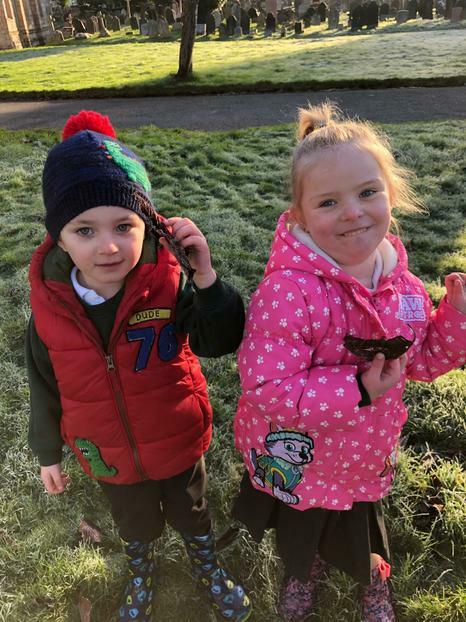 We even found some leaves that were still frosty and decided to take them back into school to see what happened. 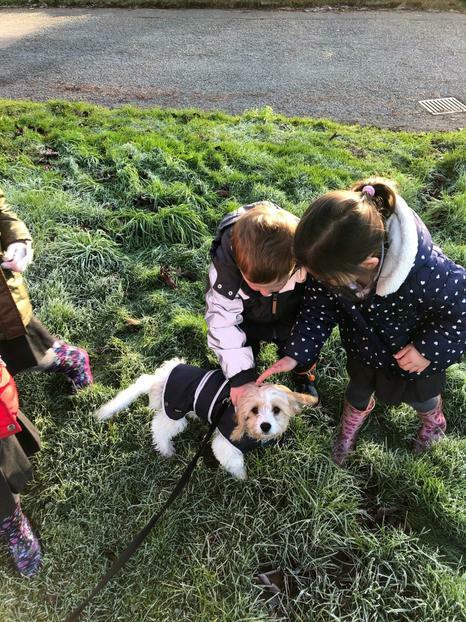 We were really pleased that Albie the school dog (in training!) came with us too. 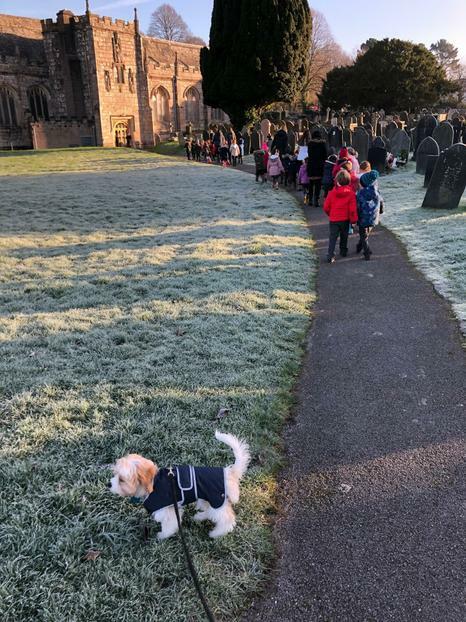 We learned about how he walks on a lead to keep us all safe. At one point he started to cry and we decided that he must have frosty paws. When we got back to school we had a treat of hot chocolate to help us to warm up. 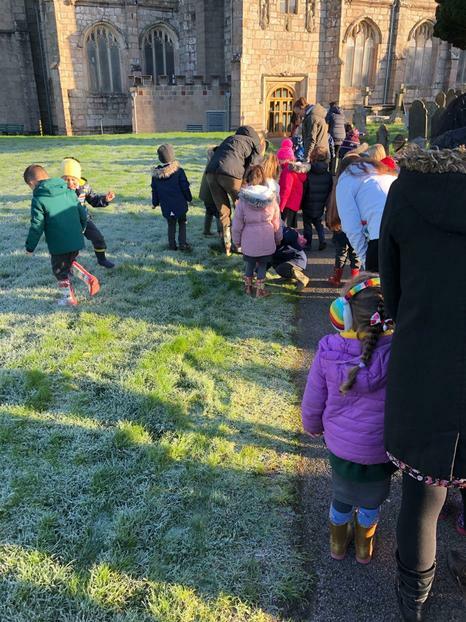 The thing that confused us on our walk was that some of the grass was green and wet but some of the grass was white and frosty! Ask us what we decided had happened.